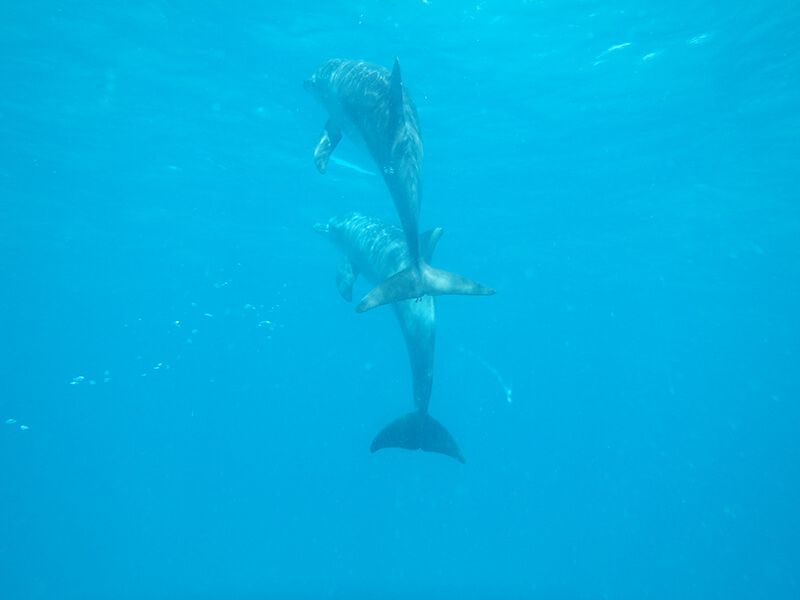 One of the best ever family activities at White Pearl Resorts is to swim with the Dolphins learning more about these ethereal creatures. Book a trip as part of a group on an exclusive Ocean Safari on the Mozambique Indian Ocean. Once the dolphins have been sighted by the professional crew, the boat will get really close. 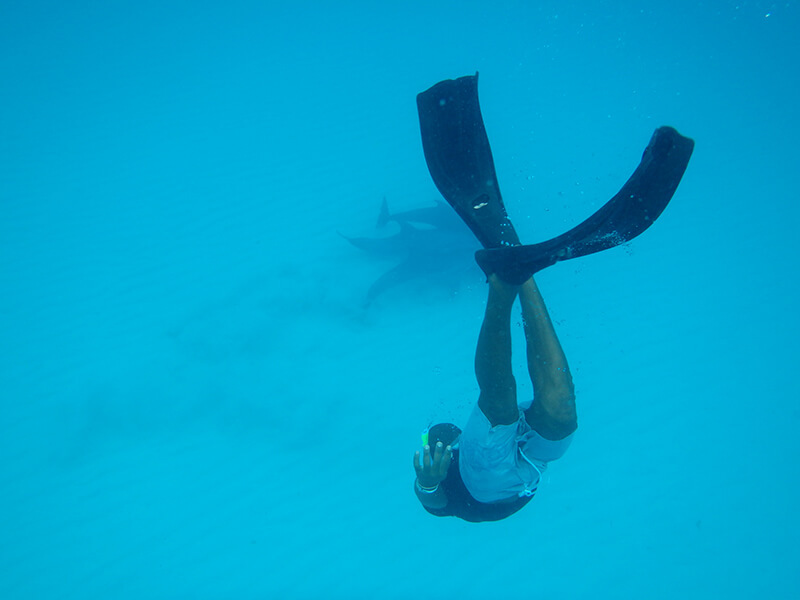 Guests can dive in and snorkel close to the dolphins and experience something unique and awe-inspiring. Take plenty of time to enjoy the holistic snorkelling experience above fascinating reefs and clouds of colourful fish. 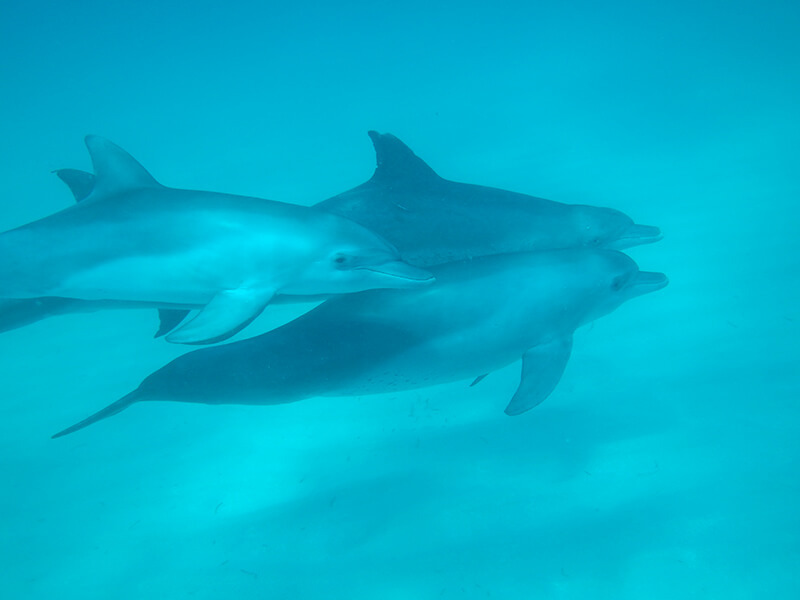 White Pearl Resort has a special licence to take a maximum of eight guests on the amazing dolphin safari. 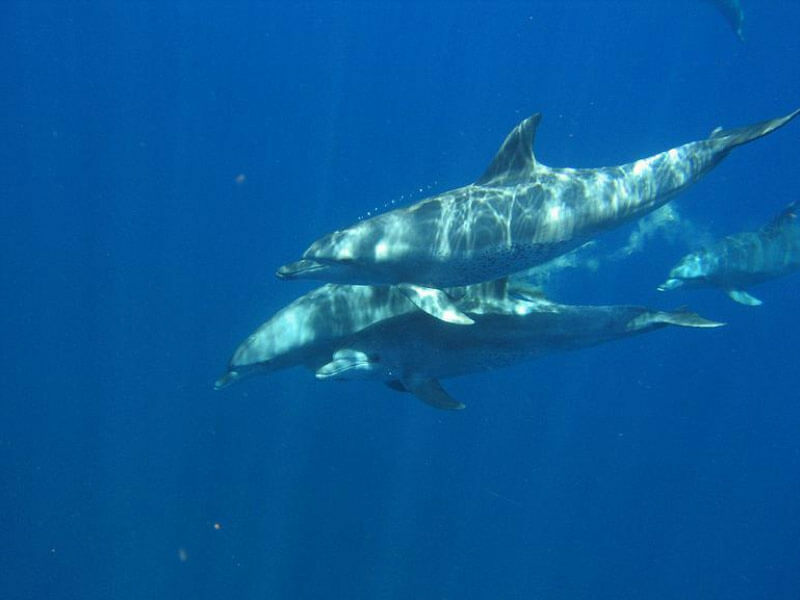 It is useful to know that conservation guidelines strictly control human interactions with these regal and sociable marine creatures. Snorkelling is a popular activity at this premier seaside Mozambique resort where the rich sea life entices casual divers to spend hours in warm waters watching an unreal world. Whale watching is another exhilarating Ocean Safari attraction during July to November every year. Join the White Pearl boat crew to view Humpback Whales in their natural habitat as they migrate from cold to warm waters. Launched from the beach at Ponta Mamoli, the snorkelling boat takes guests into the Humpback whales’ playground. Watch them breach, lobtail, sail and blow!